Over the past decade or so, perhaps longer, the British political class – homogenised as it has into a single Fabian Society and with its eyes fixed firmly on a vision of the UK as an Orwellian dystopia – has been on the warpath. Peter Oborne described the situation rather well in his book, ‘The Triumph of the Political Class’. Peter Hitchens had plenty of relevant things to say in his book, ‘The Abolition of Britain’, as did Eamonn Butler in his epistle, ‘The Rotten State of Britain’. Today sees another nail in the coffin of the British way of life when little oiks like me now find themselves in the cross-wires of the political class. As our ‘free’ society inches towards regulation of the press … you know, regulation of newspapers such as The Sun, The Times, The Telegraph, The Grauniad and the like … one discovers in the small print that Moraymint Chatter is also up there with the big names. You see it’s likely intended that the new Press Regulator would cover not only newspapers as we know and love/hate them, but also bloggers like little ol’ me here. I’ve just been looking at what ‘Index’ has been saying about this subject (link below). The Royal Charter’s definition of a ‘relevant publisher’ will include ‘websites containing news-related material’. Index argues that ‘bloggers could find themselves subject to exemplary damages in court, due to the fact that they were not part of a regulator that was not intended for them in the first place’. So, dangerous topics for Moraymint to write about would be ‘news or information about current affairs’ and ‘opinion about matters relating to the news or current affairs’. The Fabian Society three main political parties also warn us bloggers that ‘gossip about celebrities, other public figures or other persons in the news’ could also put us in to litigation territory. As Nick Cohen observes over at The Spectator (link below), ‘if politicians from all parties … do not … tone down this sweeping legislation a great chill will descend on the free republic of online writing, which until now has been a liberating and democratic force in modern British life’. If you wish to comment on this post, please send your comment in writing to my solicitor, Mr I Fleeceam, c/o Delay Worry and Expense, 145 Inns Court Chambers, Elgin, Moray from whom you will might hear in due course. “They” can no longer control the press through controlling the distribution (by whatever means , cost etc) thanks to not only the web but smart phones and tablets. How to get that all important flow of opinion forming data under control again? I imaging their thinking went something like,…”we can’t regulate the internet, to much static and to obvious, …lets go after the writers” . They’ll fail and very likely bring their own house of cards down. P.S You’ll have my email from this post. A group of us are working on something that I think would interest you. You can help Big Brother in his quest to keep tabs on potential enemies of the state for potential later treatment in Room 101. Just put your real name and address in your Facebook, WordPress and Twitter addresses etc. Thankyou. I believed Cameron was going to stand his ground on principle, even if that meant losing yesterday’s vote, shame on him, although the actions of Labour & the oxymoronic Liberal party are despicable. 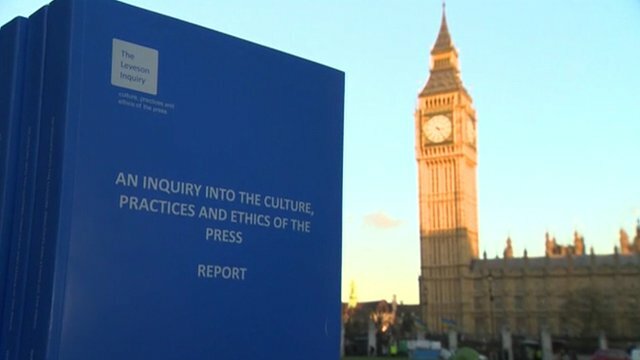 It doesn’t matter how much politicians twist & turn or triangulate regarding their claim that the press is not subject to Parliamentary oversight; the fact is that it is and history shows us that laws however well intentioned end up being used in ways not intended e.g. the anti terror law brought in by Labour after 9/11 and the way it was used to arrest a Labour supporter at his party conference. Parliament should be ashamed of what it has done; I sincerely hope the press at large refuse to sign up to the regulatory regime, or better still use the Human Rights Act & the ECJ to overturn this anti democratic law. time, however we already have laws for dealing with these transgressions. Politicians have kowtowed to victims (who shouldn’t be the arbiter of law making) and Hacked Off (a rag tag collection of luvvies & Marxists). The Parliamentary augean stables need clearing out. And I thought Barrosso was a nasty piece of work. Anyway how does the proposed law stand for us to make comments on this Orwellian situation? Can you or we be pursued in the internet “cloud”?